ANITA SHREVE's novels have sold more than six million copies and have been translated into thirty-six languages. She lives with her husband in New Hampshire. "Anita Shreve’s books are reliably engrossing literary page-turners, never formulaic…Shreve consistently creates complex characters and plots, often drawn from the historical record or from obscure headlines…Then she tells their stories in unobtrusively elegant prose." "This is a suspenseful and heartwarming story of not just overcoming but also growing in the face of great difficulty." "This is sure to be a best seller. Shreve's prose mirrors the action of the fire, with popping embers of action, licks of blazing rage, and the slow burn of lyrical character development. Absolutely stunning." "It is a book of small moments, a collection of seemingly simple themes that build to surprising and moving crescendoes. Shreve's spare, economic prose suits her character’s practicality and initial hesitance to determine the course of her own life... Shreve's crisp writing becomes more expansive in the moments when her protagonist consciously stretches beyond the boundaries of her previously narrow life." 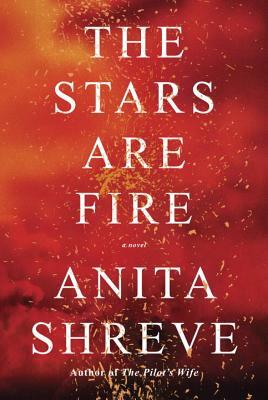 "One of the pleasures of reading The Stars are Fire is Shreve’s ability to impart an authentic feel of 1940s daily life... Shreve’s writing is lovely."